I make my living primarily on the App Store, and the latest iPhone is my carry phone. iOS is effectively my “Home” platform. But, there are some things about Google Play I wish the App Store would take inspiration from. Google Play displays a download statistic on every app’s landing page. Shown in the form of a tiered badge, it is a great indicator of popularity (social proof). It would be great to see something like this in the search results on the App Store. Google Play does not reset ratings with every update. It always shows all ratings for all versions. Ratings are an important indicator of quality, and on the App Store that indicator is temporarily useless after every update. Maybe another solution would be better (e.g. a rolling window), but if I had to pick from how each store does it today, I’d pick Google Play’s way. Google Play provides a dedicated short-form description. It’s well known that most shoppers don’t have time to read app descriptions. On the App Store, the app description is truncated somewhat arbitrarily, with a “read more” button shown. This makes it hard to craft a brief summary that we can trust shoppers will see. A dedicated short description fixes that. Google Play can install apps onto your devices directly from the web. Web-based landing pages in Google Play feature an “Install” button. Just tap that button in the browser, and the next time you look at your phone, the app will be there. There’s no need for any special software, and no need to take your phone out. This saves customers time and helps developers by removing a barrier to downloads. Google Play displays eight screenshots instead of just five. Five screenshots just isn’t enough for apps with considerable feature-depth, like HoursTracker. I don’t know if eight is the magic number, but more is better than less. Google Play allows app promo videos of any length. Just like with screenshots, more complex apps need longer videos; 30 seconds is just not enough time to do the features justice. Almost every productivity App Preview video I’ve watched feels rushed and shallow. Sure, I could make a long, boring video that annoys some shoppers, but I’d prefer to have the opportunity to make that mistake. I also appreciate that the graphic shown behind the “play” button need not be a frame from the video itself. 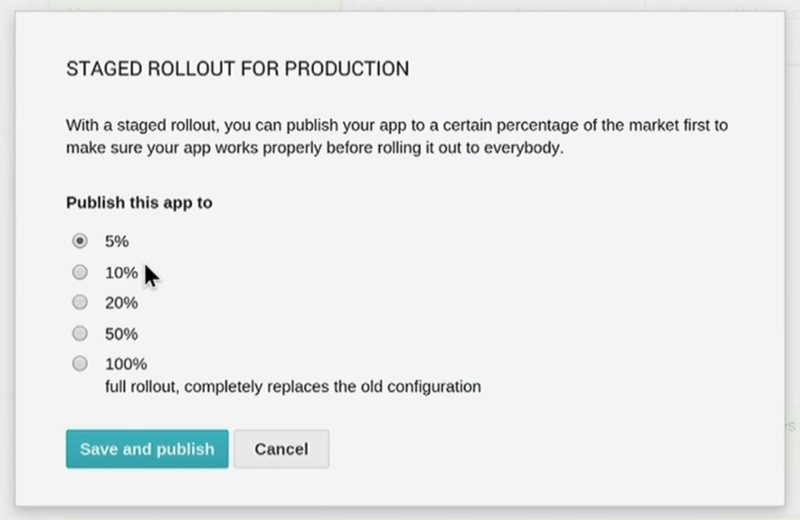 Developers can change their app meta data, including screenshots, at any time. Long ago, we could do this on iOS as well, but today we have to submit a whole new app update just to change a screenshot. App Review must look that submission over, just like any other, even if the app itself is exactly the same. And, once approved, every user of that app has to download a new binary. That’s not good for anyone. An argument can be made that unrestricted screenshots might lead to misleading or inappropriate images in the store, but that doesn’t explain why we can’t even change the order they are displayed. Here’s a “happy medium” idea: If the App Store allows five screenshots, maybe we could submit up to 10. Then, at any time, we could choose any five from that approved set of 10. By submitting extra screenshots with each update, we can respect Apple’s desire to screen our content and still be able to test our marketing materials. This would allow us to test different screenshots to find out which ones work best for our business while saving App Review, customers and ourselves valuable time. Plus, nobody downloads an “update” that says “bugfixes” in the release notes just because marketing wants to try some new App Store assets. 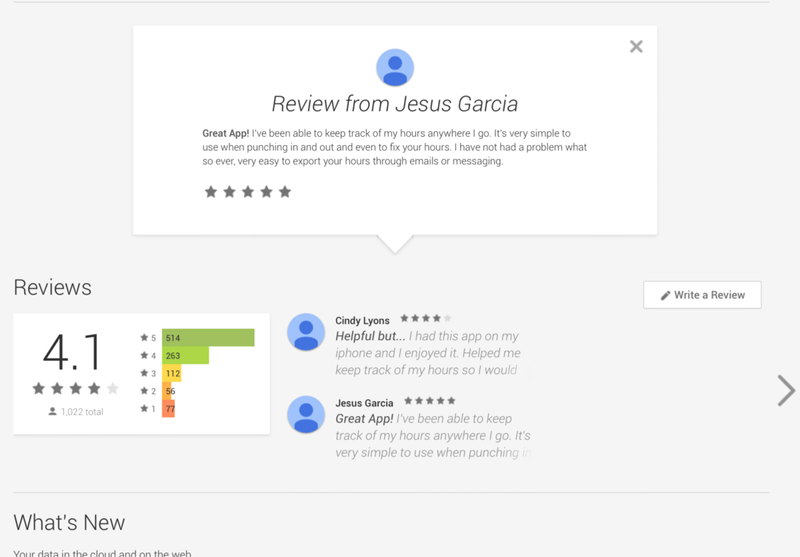 Developers can highlight a specific review on their app’s landing page. If a customer has said something particularly nice about your app, you can pluck their review out and feature it prominently. This can be helpful when linking to Google Play from marketing materials such as your app’s web site or online ads. Developers can issue refunds directly to customers. One of the worst feelings as an iOS developer is when a customer comes to you with a problem, and all you can do is refer them to Apple. The customer would rather deal directly with the app’s developer. One sticking point on the App Store is refunds. Customers can get refunds if they’re unhappy with a product or unable to use it, but developers can’t grant them. Google Play allows developer refunds. Developers can use their own judgment when issuing refunds. Developers can release updates freely. This is a big one, because it underlies a major difference between Google’s approach and Apple’s. Rather than try to suss out whether or not App Review is a good idea (probably an entire piece all by itself), I want to point out some of its effects. We’ve all had an embarrassing, crippling bug sneak through our quality processes. When I’m submitting an update for my iOS app, I do so with trepidation. If it is approved and something goes wrong, I’ll be in a bad place for possibly 7–10 days. I might even have to temporarily pull the app from the store altogether. If this happens on Google Play, I can fix that small but terrible mistake, and get an update out the door in about 20 minutes. Update anxiety extends beyond bug fixes. What if I have great new features in my update, but suddenly something that has been there for years causes an update to be rejected? Or worse, it is approved but then later I get an e-mail saying I must remove new features that customers have already spent money to gain access to. I must then choose between appealing that decision (which can take over a week) or just removing those features to get through the process (or even just remain on the store). And because releasing an update sweeps away all of my customer’s wonderful ratings and reviews, my app suddenly looks like an unused zombie app instead of the thriving, proven product that it is. That hurts sales for no good reason. For me, this all adds up to general update avoidance on the App Store. Every time I submit an update, I’m excited for my customers and for my business, but my stomach is in knots about all the things that could go wrong. When I’m doing an update release on Google Play, I don’t have anything to worry about, and that’s a great relief. Google Play lets me release updates incrementally. I can choose a percentage of my customer base that will get the new version. This is great for vetting out new releases, and is especially important for Android because of vast device and firmware diversity. But, iOS is pretty diverse as well these days, and I’d love to know about a problem on an older iOS version or an older, smaller screen device before releasing to everyone. 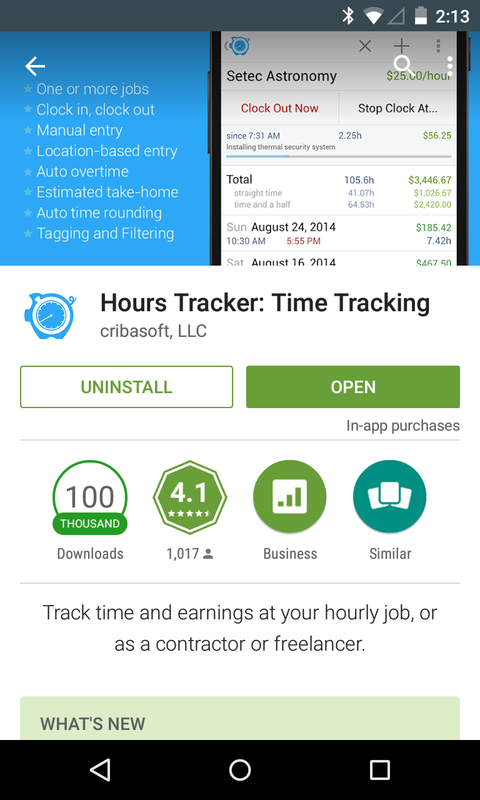 Revenue from HoursTracker for Android is steadily growing, but the iOS version still earns several times more each day. It is possible that some of the differences between the Google Play and App Store marketplaces are responsible for that difference. But I think the ideas that I’ve called out here are things that would make the App Store even stronger and better for everyone.